I have been busy playing around with those Gigabody workouts I told you about last week in order to provide you will a great review (most likely by the end of this month). Of course playing around means I am doing lots of random routines, starting and stopping some of them along with completing some new-to-me workouts. I am not going to share major details of the workouts just yet since I am still in the reviewing process and my opinions haven’t been totally formed so please bear with me when it comes to how I list the workouts as you see them below. I love completing a barre routine prior to my runs, especially on cold mornings. Being all stretched and loosened up allows me to jump right into a speedy run which helps to adjust a bit quicker to the cold air. Average pace of 8:48 min/mile. I will take it. I completed some of the shorter Gigabody routines including two Barre strength and balance videos (13 minutes for each video) as well as part of an arm strength training video. By the time I headed out for a run, I was tired. I planned on cutting the run short around three or four miles but then my phone rang so I ended up chatting with my good friend on her drive into Manhattan which took me to six miles. I always say that I prefer to run alone but I certainly enjoy chatting with my friends on the phone while I run easy-paced miles. I missed my Pure Barre! In case you are wondering which DVD’s I use, I rotate the Mile High series which incorporates the red ball in most of the exercises. Sometimes a girl needs to NOT wear a sports bra for 24 hours. Sometimes the day after a rest day produces a great run but sometimes the day after a rest day produces a terrible run which makes no sense but it happens. My legs felt heavy and like lead for most of the run. I averaged 9:30 min/mile but it felt more like an 11:00 min/mile. I didn’t give up because in my opinion, if you don’t run through the bad runs, you won’t recognize the good runs when they happen. 14 Miles? 15 Miles? Somewhere in between? My phone died after mile 11, maybe at like 11.60 miles? Maybe? Uh huh. My phone hasn’t died on me in forever. I probably ran another thirty minutes but I haven’t a clue what my pace was or what the final mile mark was when I arrived home. It was also the first run of the season where the temperature was in the thirties. My body was warm (three layers) but my lungs took a good four miles to adjust to breathing in the cold air and remembering how to warm it effectively. 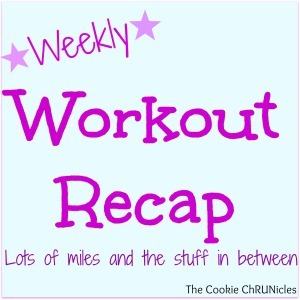 After I publish this post and eat some breakfast, I plan on going for a short run. I don’t know what short means but I will figure it out once I am out there. Is today a rest day or a workout day for you? If you ran a race yesterday, how did it go? You are loving that Pure Barre 🙂 Makes me curious, I would like to give it a go! 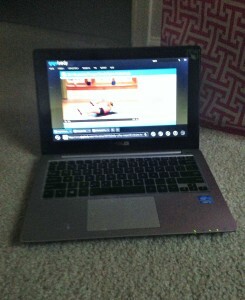 I did win a yoga dvd, and I am planning on using that this week. I have never used a DVD for a workout before! 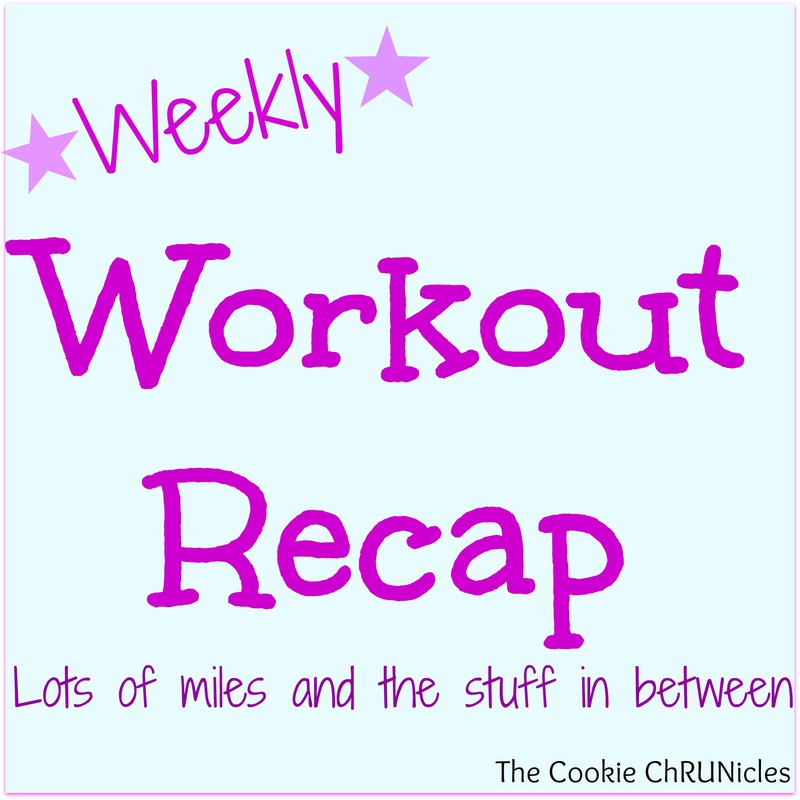 I have my “long” run of the week today, so probably around 12-13 miles, but still just going by minutes, so 85! Tina Muir recently posted…Exciting Announcement! My New Job at Runners Connect! If you have a Pure Barre studio in your area, I think you need to try a class. I think you will love it. The Dvd’s are terrific too. I am learning that I don’t love yoga but Pure Barre kinda incorporates a little mix of yoga/pilates/barre which is the right amount of each for me. Looking forward to hear your review on the Gigabody workouts. Best thing I’ve eaten this weekend would have to be Taco Bell. I know what a favorite meal. I honestly can’t remember the last time I had it.. but man was it good!! I haven’t had Taco Bell in forever! I was actually HOT during my run yesterday, since it was in the sun, and I only had one long sleeve layer on (plus bra of course) and couldn’t help thinking there was something wrong with my for being hot in that temp! I think I’m just so used to being in the dark the sun throws me way off. You got in lot of great workouts this week! I really want to start doing barre workouts after this marathon. I used to love them. I was wondering how you made out yesterday running later than usual. I know how weird it can be for me to run much later than my average hour. I was cold at first but by the end of my run, I was fine. My layers were fine, it was the cold air that I kept breathing in that was bothering me for a while…Definitely think you need to start up the barre classes again. I can’t imagine how I was running all of the time without the barre routine in my mix. Yesterday when i went out it was 38 but warmed up to the 40s pretty quickly and was sunny, so it was actually really good running weather. I think I need to try some pure barre this winter after marathon training is over…I might ask for a DVD for Christmas. I definitely recommend the DVD’s. 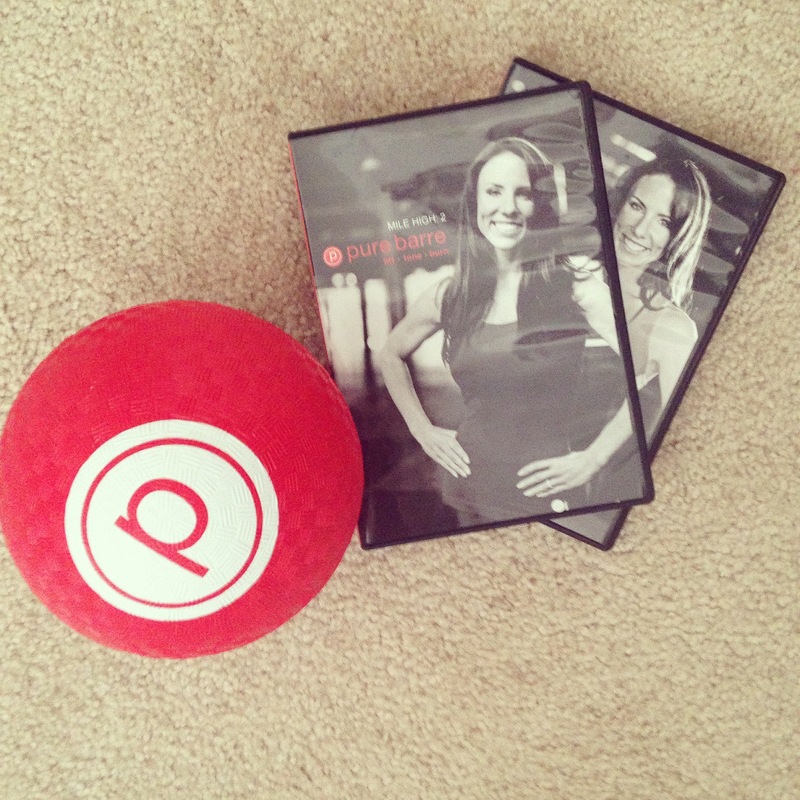 If you have a Pure Barre studio near you though, I would ask for a package of classes as a gift too! The classes are the best but the DVD’s are great for keeping up with the routine at a lowered cost. Ran 5k ez on the course for this Tues Veteran’s Day race in Clifton Park. Last night, I had Gayle & Jerry’s homemade matzoh ball soup.